Entering the above equation into Google's search engine brings heart displaying a graph exactly at the center. Google, known for its seasonal Doodles, however, is not behind the equation and it is still not clear who is behind this romantic equation. 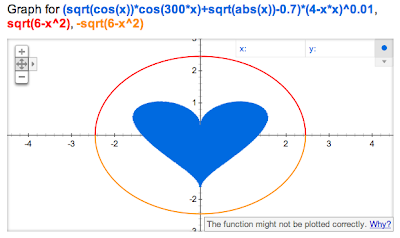 Google is also popular for creating its own Easter eggs -- for example, typing "do a barrel roll" into the search bar creates the page spin 360 degrees.this fill create real fun on valentine day.